While many DUI arrests get brief mention in the media, a police officer charged with a DUI in Los Angeles can make national headlines. But most law enforcement officers in this uncomfortable position try to keep a low profile. They certainly wouldn’t top off their arrest with a booking photo that shows them with a big grin. A DeSoto county constable should probably have displayed fewer teeth when police in Horn Lake, Mississippi, took his picture for their records. They stopped Christopher Plumlee, one of five elected constables in DeSoto County, for speeding and later charged him with DUI as well. 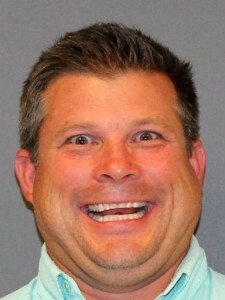 Plumlee’s booking photo—which shows him with a wide, toothy grin and a slightly manic look in his eyes—has gone viral and drawn a great deal of criticism from county residents. Photos also played a part in the arrest of Corey Britton, a corporal with the Howard County, Maryland, police department. On the evening of Wednesday, October 6, Britton collided with a car but allegedly took off instead of stopping at the accident scene. The other driver involved in the crash had a camera, however, and managed to snap photos of the damage to both cars and a picture of Britton’s license plate before he fled the scene. Maryland State Police used that information to help track Britton down. When they finally caught up with Britton, they arrested him for failing to remain at the scene of an accident, driving under the influence, driving under the influence while transporting a minor, failure to control speed to avoid an accident and operating in a negligent manner. Howard County police officers placed Britton, a 13-year veteran of the force, on administrative leave pending the results of the State Police investigation and their own internal investigation.